Hurricanes Fell Silent as African Dust Clouded Skies in the U.S.
(Bloomberg) -- What can give you itchy eyes, replenish the rain forest and bring a hurricane to its knees? Dry and dusty African air. The coffee-colored atmospheric swirl, captured by satellites last week, blew across the ocean all the way to Houston. Originating in the Sahara Desert, the air dominated weather across the Atlantic and beyond. It is, quite simply, kryptonite for hurricanes. Tropical storms and hurricanes are heat engines built from thunderstorms; they draw power from warm, moist tropical air across the ocean. Stable, dry air is like adding sand to a cake recipe. This battle of dry and moist rages throughout the summer. While the wetness lost out in June, a small hurricane managed to form last week and another may be brewing, so it’s too soon to tell whether this season will end up mellow or fierce. Every few days, patches of showers and thunderstorms leave central Africa and start west across the Atlantic. These are called tropical waves and they can line up like freight cars in a train all the way across the basin. These waves are the buds of storms. If they flower, they spin into hurricanes and tropical storms. To the north of this wave train, as it is often called, there can be a plume of dry, dusty air from North Africa. “You have a battle often times, a disturbance trying to protect a region while hostile, dry air is looking to invade,” Davis said. North African dust also makes its presence known in a smaller theater: the air outside your window. 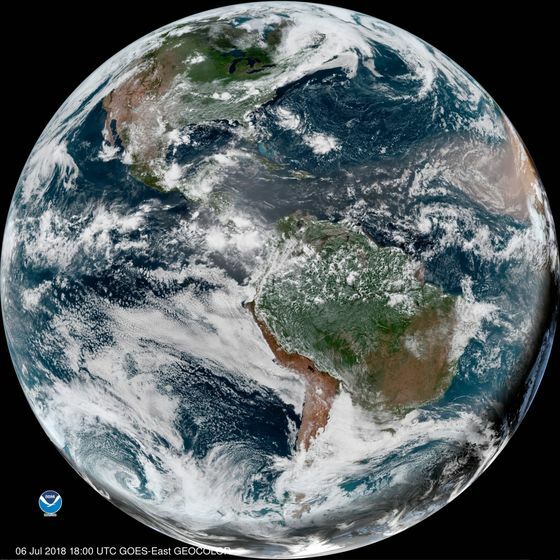 Every year, 100 million tons of Saharan dust spreads across the Americas, reaching deep into the Amazon where it can replenish soil in the rainforest, according to the National Oceanic and Atmospheric Administration. In summer, the flow gets stronger “so you see the plumes migrating farther west,” Davis said. At the end of June, African dust turned the sky a milky white in Miami and Houston, sending air quality into the ditch.